Many of our patients choose to continue their care beyond the point where finish their initial treatment. The logic is that by maintaining the function of your spine there is less risk of it problem recurring. Even after completing your chiropractic care to restore function, and reducing or eliminating your pain, as time goes by it is likely that some spine tension will occur through permanent spine damage, wear and tear, poor seating, bad postural habits, stress, accidents, trips and falls – all of which are part of day to day life. How do chiropractic maintenance care packages decreasing the chances of your pain recurring and do regular care packages have any other benefits? Is this medically proven? What is the recommended frequency for these care packages? Maintenance Care Packages – Treatment when I’m not in pain? There is good evidence from a recent well designed medical trial (Senna and Machaly, Spine 2011) that for chronic low back pain, “maintenance spinal manipulation after the initial intensive manipulative therapy” results in fewer re-occurrences of pain over a 12 month period and also higher patient satisfaction with regard to the care that they have received. Chiropractors have been saying this or years, but now medical trials support this form of care. The old adage “Prevention is better than cure” is proven true again. What is the ideal chiropractic maintenance treatment frequency? The patients who tend to do best are the people who complete their initial chiropractic care package aimed at getting them out of pain, sort the problems where possible and re-balance the body through exercises and simple lifestyle and habit changes. Consequently most of them will quite happily go two to three months between visits. Some may need a bit more and others get away with a bit less. In short it all depends on the individual patient but if you stop your treatment altogether and wait until your symptoms come back you may have to start all over again and the likelihood of a successful outcome may be reduced. 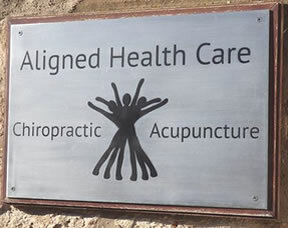 So if you do decide that chiropractic is for you then you can do yourself a favour by completing the initial corrective treatment, and then continuing your maintenance care package as recommended rather than waiting for another major recurrence which can often need a lot of treatment over a short period of time.